Car scrapping in Hooley for instant cash! 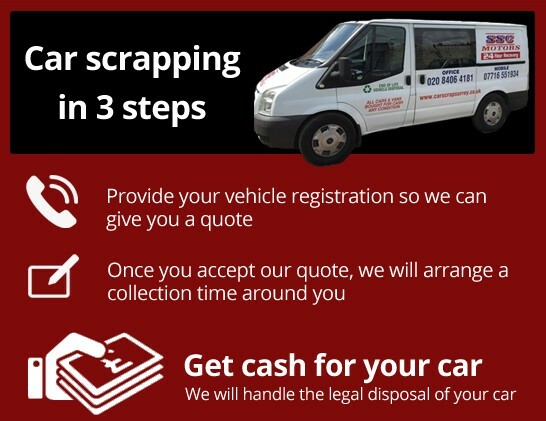 “How do I scrap my car?” Here at Car Scarp Surrey we are specialist car breakers, who can scrap your car in legally, quickly and you get paid today! Working in Hooley, Chipstead and the nearby areas, we can collect your car from any location, provide you with a Certificate of Destruction and hand over up to £150 in cash for any type of unwanted vehicle. 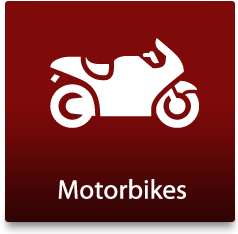 We can pick up scrap cars, accident-damaged cards, MOT failures, tax-expired vehicles, write offs, discarded or dumped vehicles, vans or bikes. Whatever the make, age and condition of your unwanted vehicle, if it is no longer road worthy, we want to buy it from you. We pride ourselves on our friendly and helpful customer service and fair prices and have over 30 years’ experience in the car scrapping and scrap metal industry. Phone us today on 020 8406 4181 and we will endeavour to get straight back to you! You may think that scrapping your car is complicated but actually it is very straightforward to organise. 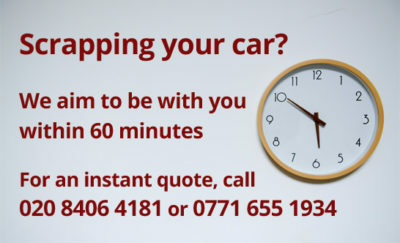 We are available 24 hours a day, 7 days a week to talk to you and dispose of your vehicle. We pride ourselves on our fast, efficient and down-to-earth service, where we can provide you with the best possible assistance in dealing with your motor vehicle. 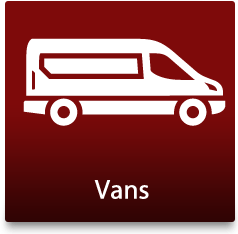 You can reach us by calling 020 84064181 or fill out a few details about your car or van via our online contact form and we will call you back. We will give you a unique quote for your vehicle. 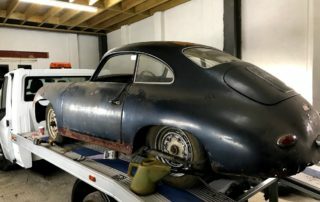 It does not matter what condition your vehicle is in, as long as parts can be recycled and removed, you will get the money that you deserve and you will not pick up any costs. 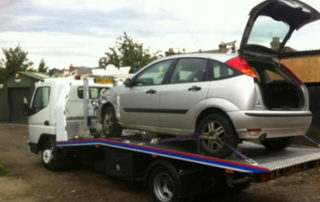 We will arrange a convenient time, place and location to for the collection of your scrap car. We will collection the vehicle and fill out all the relevant DVLA paperwork. You will receive a Certificate of Destruction, which ensures your car will not end up back on the road illegally and proves you are no longer the owner. You will be paid in cash or by bank transfer for your vehicle by our team. Your and car will be transported to our authorised treatment facility site, where the environmentally approved scrap process will begin. 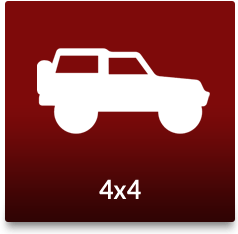 Our car recycling team will remove and recycle every part of your car that they can. 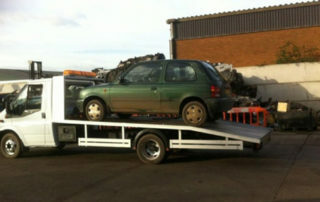 A scrap car is much better for the environment for an abandoned car – and you get paid for it! 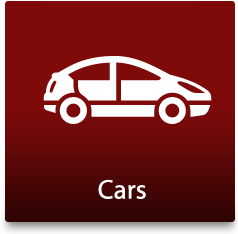 To read more about how car scrapping benefits the environment, see our blog. Call your car recycling experts in Hooley today! If your car is no longer running and you want to earn some instant money, call us on 020 8406 4181 or fill our online contact form. Do you live in Hooley and one of the nearby areas of Surrey and are looking for cash for your car, van, bike or scooter? 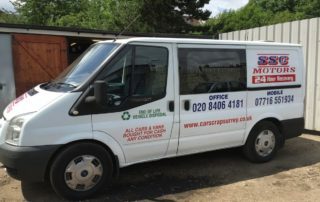 If you own a salvage vehicle that cannot be repaired or a car that has reached its end-of-life stage, then you can recycle and scrap it with Car Scrap Surrey! 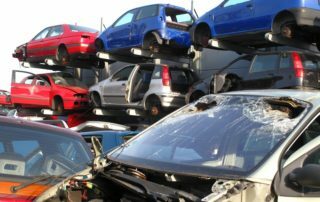 Our Croydon-based car scrap yard is easily located to retrieve and recover cars from all over the local area for scrapping and recycling for their car parts. If your car is less than ten years old, then it is likely that it has extra salvage value and we can give you the best prices! We take car recycling and scrapping very seriously and use state-of-the-art de-pollution, recycling, dismantling and crushing techniques. All recycled car parts are cleaned and tested. We will issue you with all the relevant paperwork, confirming that you are no longer the legal owner of the vehicle. 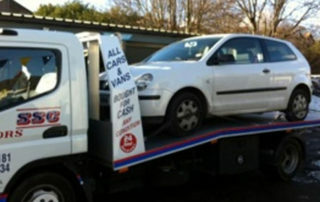 We also work with domestic and commercial clients all over Surrey and offer car recovery services too.